“If my life were a book, and I were the author, how would I want this story to go?” This is the question that Amy Purdy asked herself when she lost both of her legs at the age of 19. 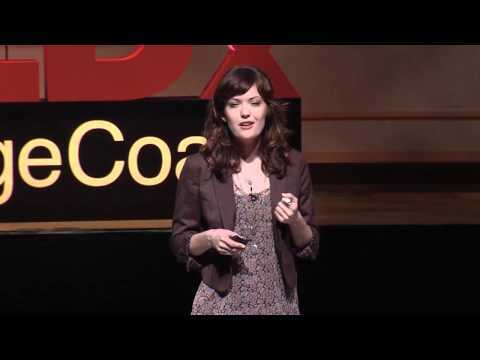 In this moving and powerful talk, she shows us how to draw inspiration from life’s obstacles. She encourages us to take control of our lives, and our limits. After bacterial meningitis took her legs, Amy struggled with depression, and only beat it when she learned to accept her new reality, but not any limitations. After being unable to find prosthetics that would allow her to snowboard, she built her own. Today, she is a world champion female adaptive snowboarder. In 2005, she co-founded Adaptive Action Sports, a non-profit dedicated to introducing people with physical challenges to action sports. Amy talks about the power of imagination. She explains how our lives are not determined by what happens to us, but by the choices we make. Imagination allows us to break down borders, to move beyond our circumstances, to create and constantly progress. This is truly one of the most inspiring and emotional videos you will watch. It will make you think differently about your life and what is possible. Nick Vujicic – A Man With No Arms, No Legs And No Limits!